Suitable for both professionals and beginners, our Stretched Canvas promises to bring out the artist in everybody. 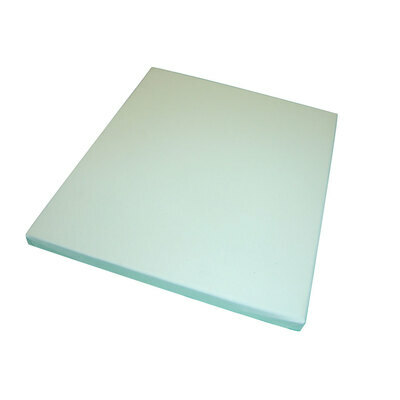 Pre-stretched for stability, this canvas has been primed to make it suitable for use with both oils and acrylics. It can be used instantly without any additional preparation requirements and provides a large creation space to build your latest masterpiece. Ideal for adults and children alike, this painting surface brings your creation to life while making it instantly suitable for displaying in the location of your choice. If you're looking to host the most engaging art sessions, consider adding items such as our Children's Smock, the 12 Block Watercolour Paint Set or our Creativity Zones to your basket today.